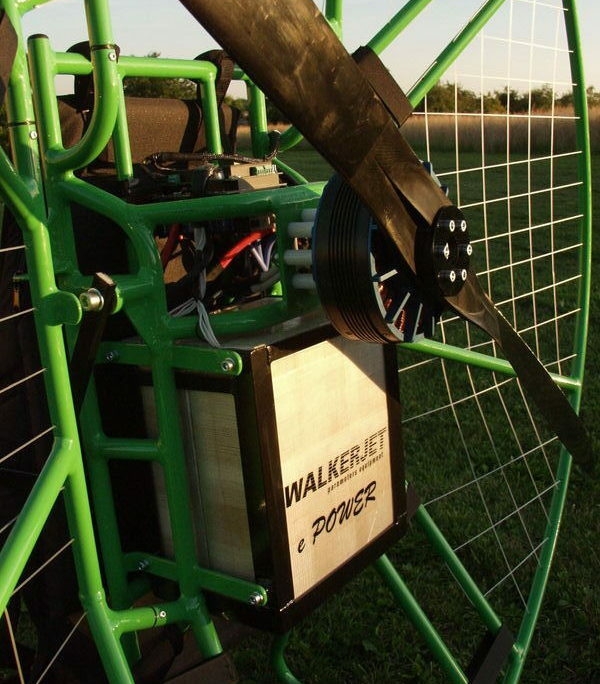 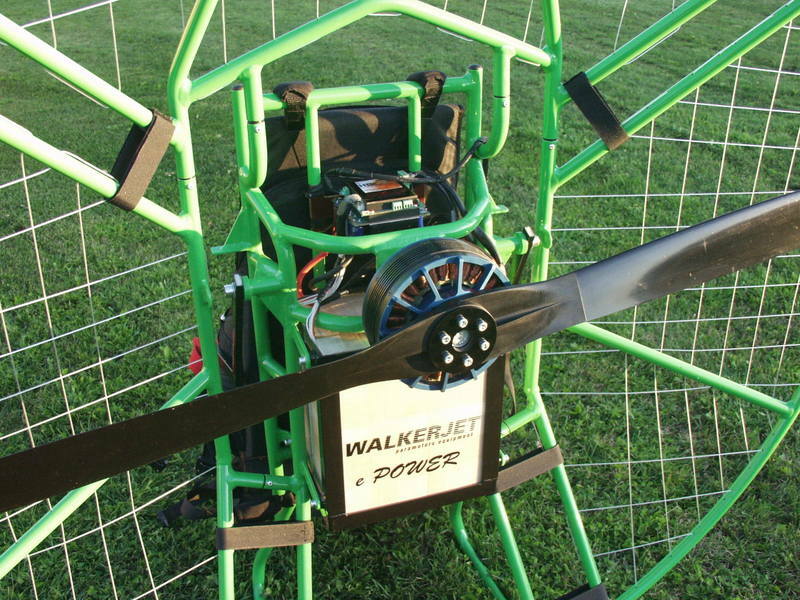 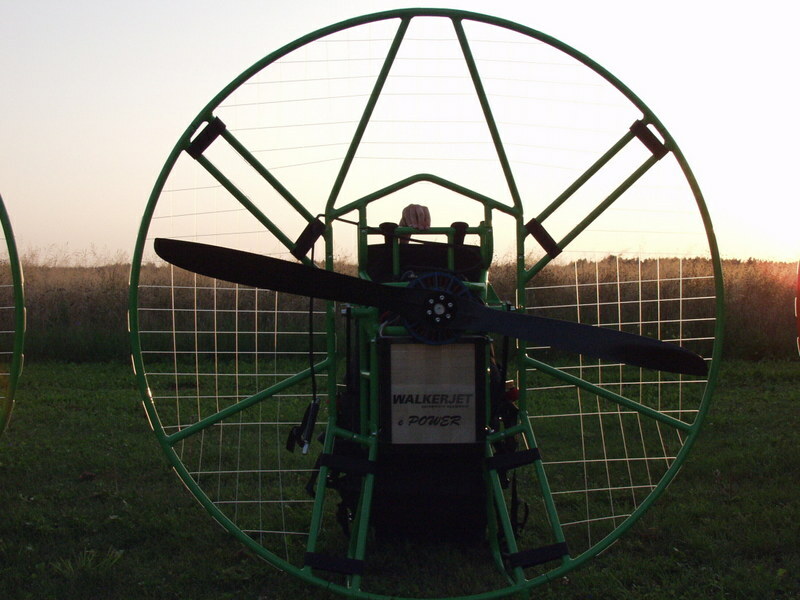 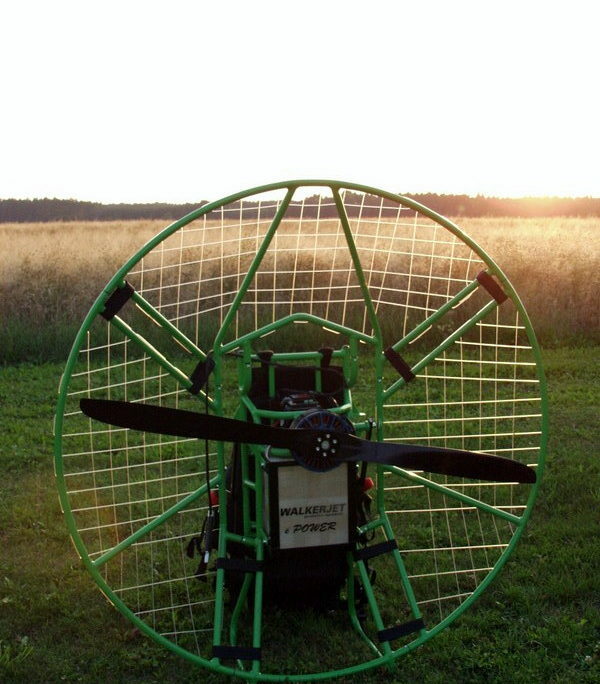 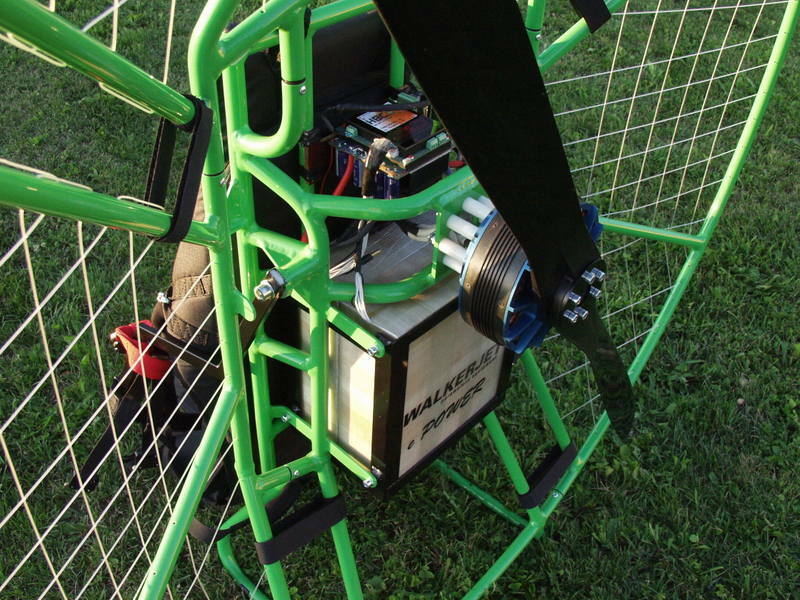 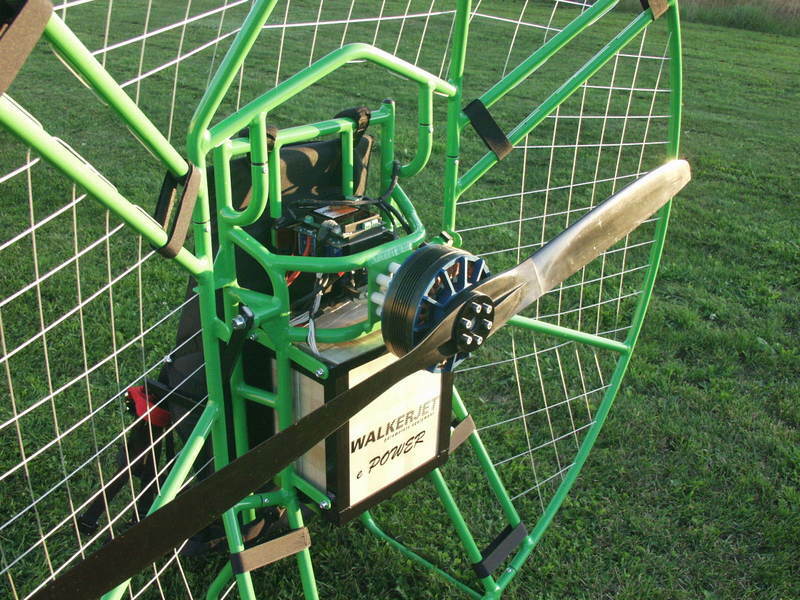 WalkerJet is a producer of PPG backpacks with clasical engines and in 2012 introduced a new electric paramotor. 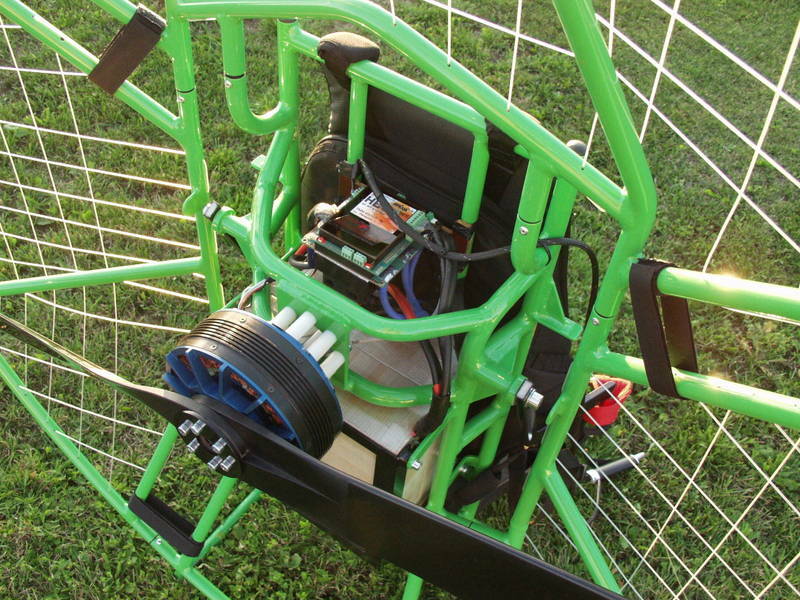 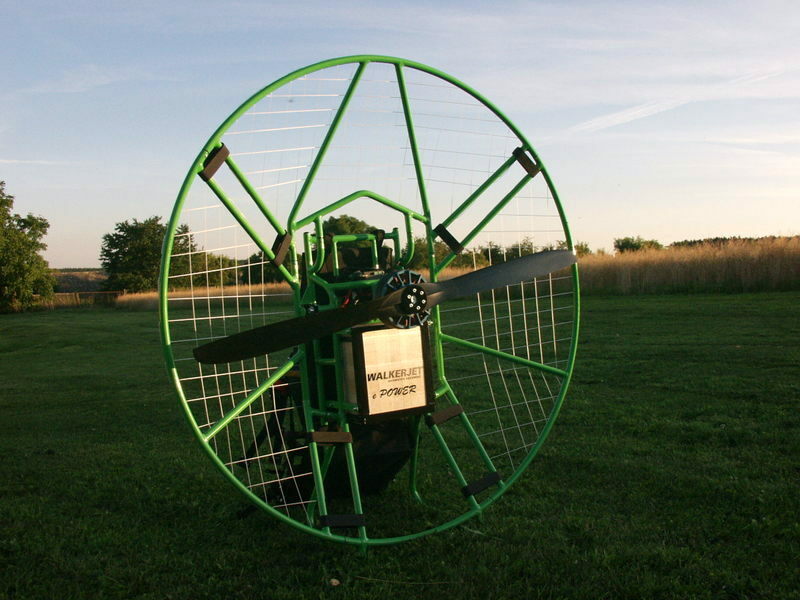 Drive is provided by an AC motor (RET 30) with an output of 12 kW direct drive propeller. 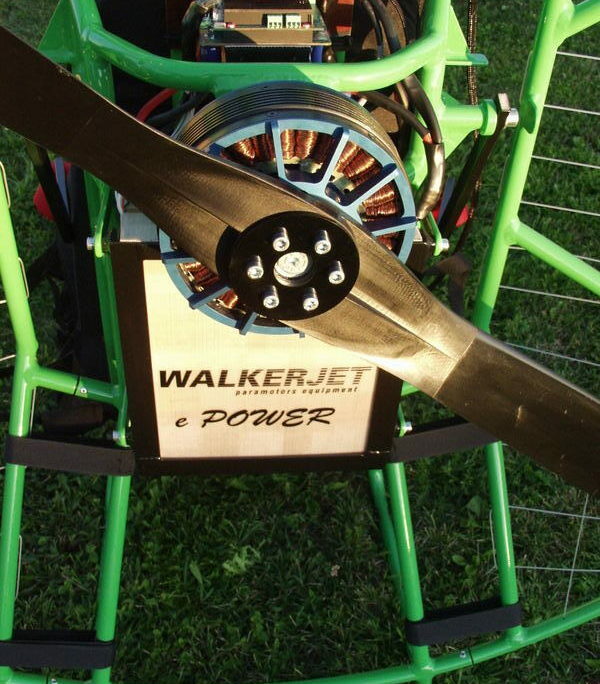 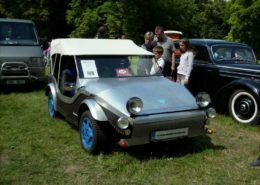 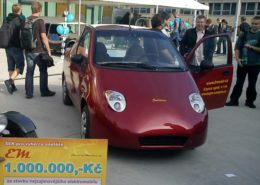 Engine is supplied by lithium battery. 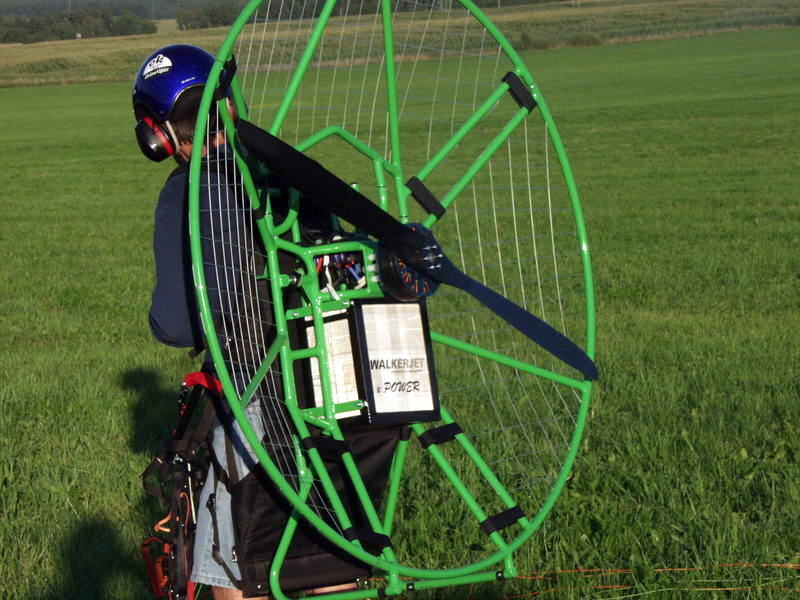 Backpack has many advantages over conventional internal combustion engine: quiet, zero emissions, requires no servicing and adjustments, higher reliability. 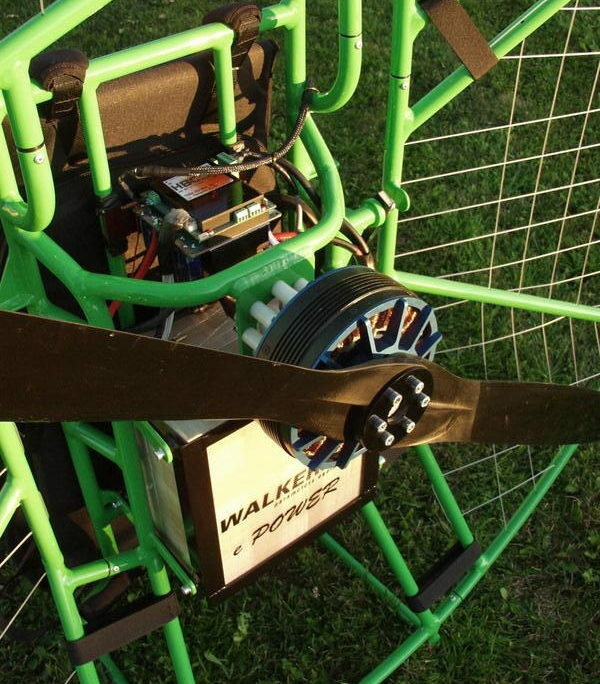 The downside is still limited duration, which depends on the battery capacity. 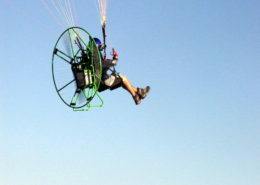 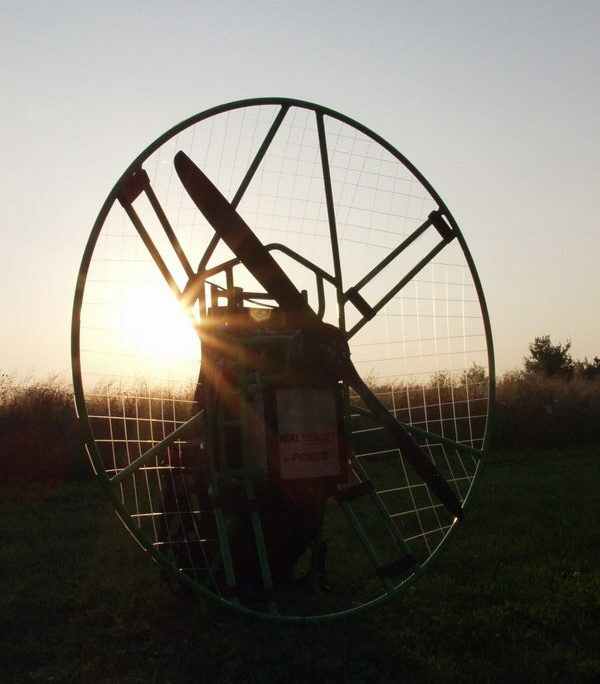 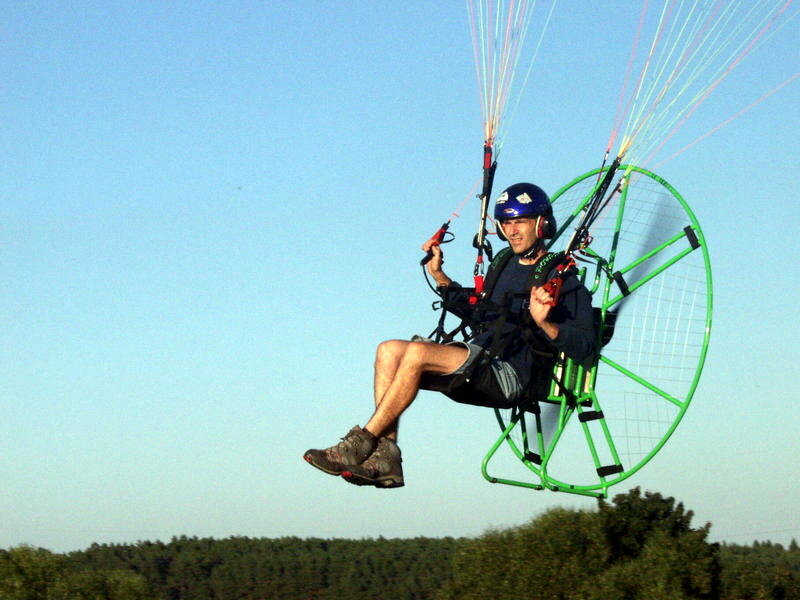 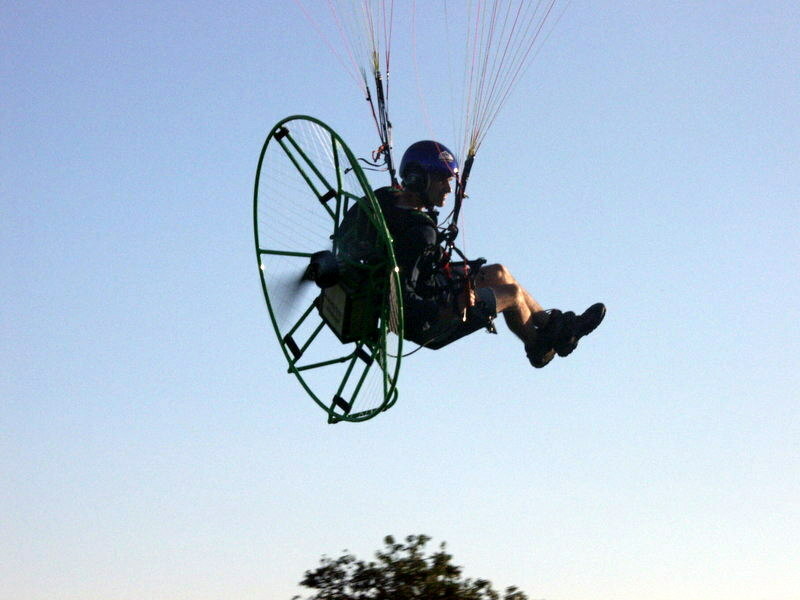 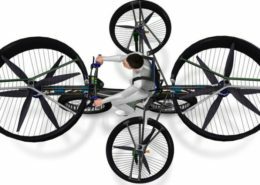 In combination with theglide and use thermals is flying on electric paramotor ideal. Let enchant but also pilots who enjoy extraordinary things and do not seek long ago. 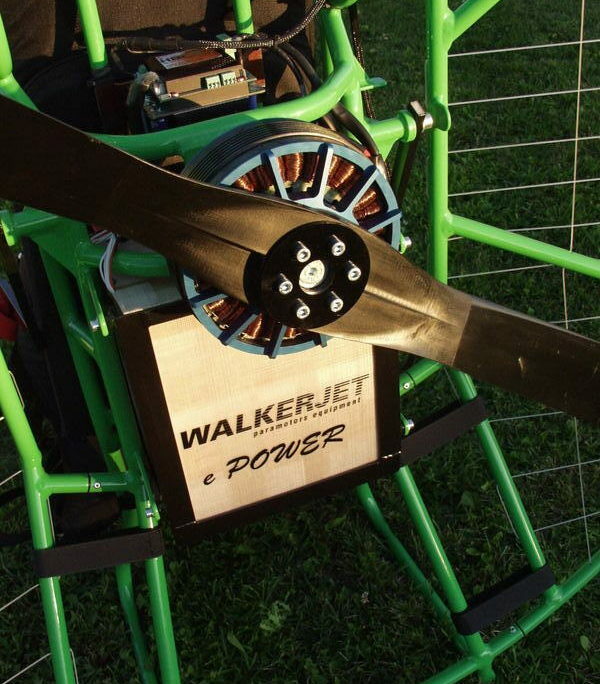 The battery is very quickly removable, you can easily switch for a charged battery pack after landingand you fly very quick again.